Does Canada have a design style? It’s a question that comes up often when dissecting our nation’s identity through the built environment. It’s a good question because buildings, landscapes, products and interiors are all forms of cultural expression. Many countries have a defining style. But Canada is both a relatively new country and a cultural mosaic of many nations, which has made it challenging to define what the nation’s contemporary aesthetic looks and feels like as a whole. In celebration of the 150th anniversary of confederation, we gathered together a new generation of practitioners who are defining the future of our cities, homes, public spaces, skyscrapers and institutions. To kick off our three-part series, here are the first 30 studios and architecture firms from coast to coast to coast, who are leading the charge in interior design. Many of them are young and new to the scene, others will be familiar, but no less fresh. The question still remains: What does Canadian design look like? This list provides somewhat of an answer. Susan and David Scott each put in over a dozen years with big Vancouver firms (she with James Cheng and McFarlane Green Biggar Architecture + Design, and he with Peter Cardew) before the arrival of the couple’s first daughter inspired them to launch their own firm in 2012. Their stunning cottages, houses and restaurant interiors consistently demonstrate mastery of a signature materials palette. Surprising use of wood, leather, concrete and steel regularly appear, including in the bespoke accessories, lighting and seating they create for their spaces. Expect to see some of those launch as a part of a small product line soon. Their latest resto, Rhinofish Noodle Bar, opens this summer in Vancouver’s Chinatown. Guy Courchesne was the co-founder of ABCP Architecture, in St-Hyacinthe, Quebec, a firm he spent nearly 20 years with, overseeing its expansion into Montreal, Quebec City, Jakarta, and Beijing. 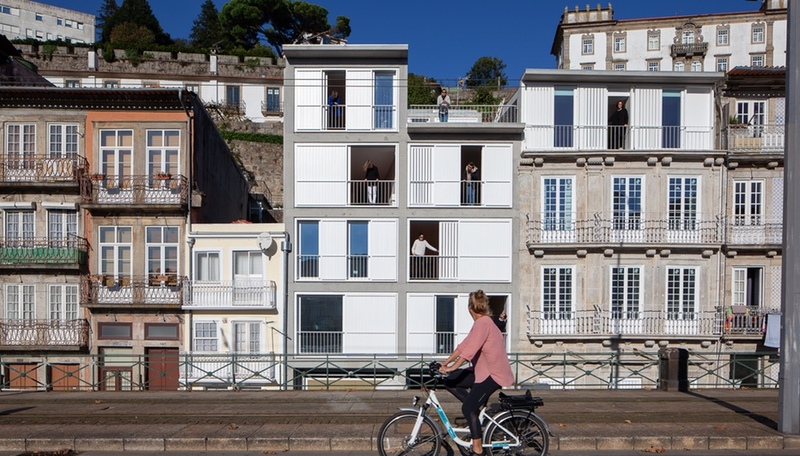 In 2006 he joined forces with Maxime-Alexis Frappier to launch a new studio, ACDF* Architecture. Working mostly in Quebec, the firm does great buildings for cultural, residential and even religious venues. But their office interiors – characterized by geometric splashes of colour – are among the boldest workspaces we’ve seen. The sculptural interiors for Lightspeed (shown) are among the firm’ most memorable and we featured not one, but two of its most recent workspaces in the June issue of Azure. Ashley Rumsey and Stanley Sun first caught the industry’s attention with whimsical public installations at the Interior Design Show, IIDEX and neighbourhood event Junction Design Crawl. They’ve since worked on retail and residential projects as far afield as the U.K, and Russia. After revealing Belfast Love, the first Toronto venture for Vancouver cocktail bar conglomerate the Donnelly Group, a year ago, we wouldn’t be surprised to see Rumsey and Sun’s work on the west coast soon. In the meantime, check out the moody spaces at La Banane, their latest local resto, and Cabin Condominiums (shown), a residential concept that tucks cozy cottage atmosphere into city-size floorplans. This multidisciplinary consultancy makes it work in the small Atlantic market by offering both graphic design and architectural services for retail and hospitality. They’ve designed some of Halifax’s hippest hangouts, including Edna (shown), Stillwell, and Good Robot Brewery, as well as the award-winning branding strategy for the city’s public libraries, which launched earlier this year. The Scandinavian and Japanese influences of Jessica Nakanishi and Jonathan Sabine show through in both their interior projects and their small-batch product line. 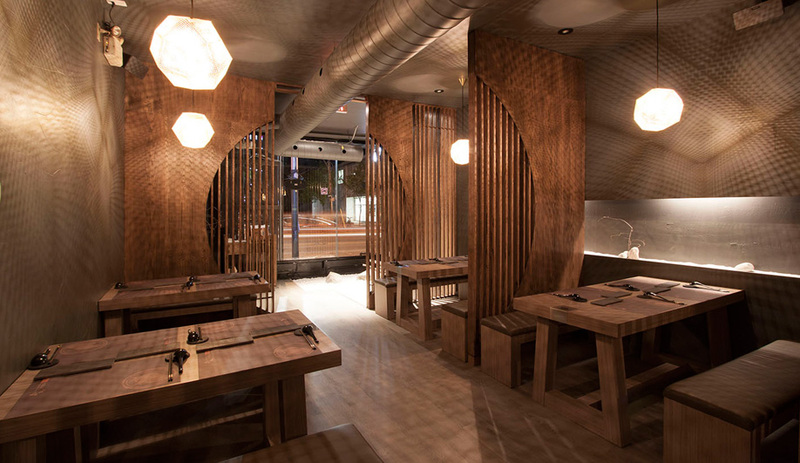 In its early days, when original member Emil Teleki was still working with Nakanishi, the firm got major attention for its work on Spin (shown), the ping-pong lounge co-owned by Susan Sarandon. Watch for their most recent project, Flur, a minimalist flower shop, in the September issue of Azure. Founder Craig Stanghetta named his west coast firm in honour of his hometown of Sault Ste Marie and in just six years has completed over 20 retail and hospitality projects, mainly in his adopted city. Ste Marie’s work in eateries like Savio Volpe and the most recent location for western Canada–based upscale chain Earl’s (shown) combine vintage opulence with contemporary sensibility for results that are sure to stand the test of time. He’ll add his touch to Toronto this fall, with the opening of the Donnelly Group’s next bar project in the city. Principal designer Sahra Samnani calls her aesthetic “comfortable minimalism” and draws influence from her global roots coupled with an affinity for crisp lines. Her international travel and love of good food and interesting conversation informs SMD’s distinct aesthetic. The inside and out of Vancouver architect Michael Green’s own oft-published home are no doubt often assumed to be solely the work of the architect. But it is in fact his partner Samnani who is responsible for the interiors (shown). She’s also the talent behind the Riley Park location of Matchstick Café, which opened last fall. Rather than having a signature style, de Lessard focuses on giving each of his clients a functional, durable space with a strong visual identity. 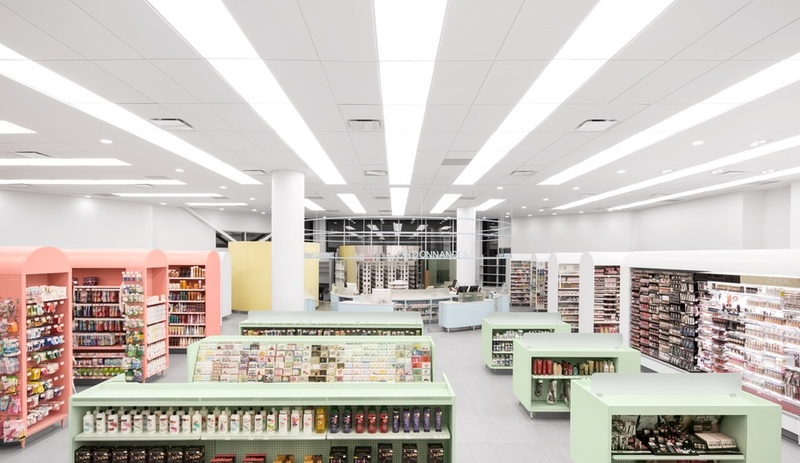 Quebec pharmacy chain Uniprix has an award-winning location (shown) that looks straight out of a Wes Anderson movie, thanks to de Lessard, who combined pastel tones with Feng Shui principles to re-imagine the store’s traditional configuration. The first three projects from this all-female office, led by architects Kate Allen, Kelly Morrison and Kristen Lien, were a burger bar, a pizza joint, and a beer hall. Their most recent projects – an elegant medical imaging clinic, a luxe saloon (Glacier, in Lake Louise pictured above), and an opulent chef-driven bar – make it clear that Frank is leading the way to a more contemporary Calgary. The Frank team are working beyond Alberta’s borders and has been tasked with imagining the food and drink spaces at the Fairmont Chateau Whistler, in B.C., and also have projects underway in Saskatchewan and Winnipeg. In the first year with her own studio, Goneau was awarded the 2011 Young Talent Award in the Grand Prix du Design. Whether a residential, retail, or office space, her projects always exude calmness and serenity. Pristine, yet relaxed, the restrained palettes allow each element a place in the spotlight, with pops of color as a supporting cast. In her most recent residence, in Montreal’s Plateau neighbourhood, contrasting surfaces such as a rustic wood wall and stainless steel countertop in the master bath prove Goneau is a master of materials. Emil Teleki was an original founder of MSDS Studio, before going solo and grabbing worldwide attention with his first project as I-V Design. The Toronto offices for Italian aperitif Campari (shown) announced I-V as a force to be reckoned with. 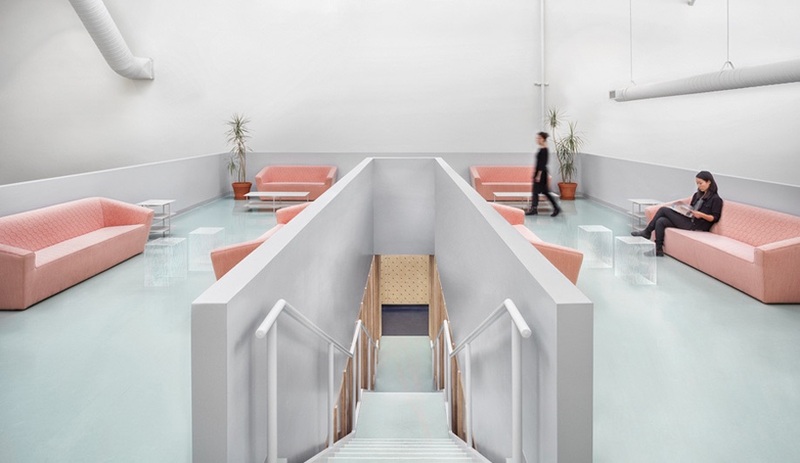 Its gleaming white interior serves up just the right amount of eye candy, with pastel floors and furnishings that soften the minimalism of the open-concept workspace. Next up, Teleki scored the high-profile commission for the offices of OVO Sound – Drake’s Toronto record label, delivering a “hyper-modern” aesthetic, with a decidedly masculine look that contrasts the prettiness of Campari. Without many completed projects under its belt, the firm is best recognized for its Edison Residence building on the McGill University Campus (shown). A hint of yellow hovering over the concrete-clad building’s entrance hints at the colourful delight inside, where the colour splashes through one of the most unique student residences in the world. Later this year they’ll install an unusual new interior in downtown Montreal, when they turn Ste. Catherine St. into a series of tunnels. KANVA’s inflatable structures were picked in a competition seeking design interventions to help maintain and promote pedestrian access to local businesses during roadwork. This interior firm also has an industrial design side hustle; Brut Design is a small line of Quebec-made furniture and accessories in wood and steel. In 2015 Taktik transformed a historic building in Dorval, Quebec, turning a former golf club into a stunning primary school (shown) for Sainte-Anne Academy. Bold graphics and bright colour were employed to help kindergarteners who haven’t yet learned to read find their way through the large building; a different hue is assigned to each class to let kids know they are in the right place. Much of the furniture was custom-built by Taktik, which used 700 sheets of plywood to economically build furnishings appropriately scaled to the various age groups. Taktik was soon invited back to update the school’s administrative building as well, and the school was the Grand Prix du Design’s Project of the Year in 2016. A co-founder of Toronto mainstay Munge Leung, Munge split off from partner Sai Leung in 2015, rebranding as Studio Munge. Rural Urban Fantasy project is a multi-disciplinary design agency helmed by Sean Pearson, the former design director for Nike in Europe, the Middle East and Africa. Pearson has continued his relationship with Nike since leaving his full-time position with the company and RUF has developed an impressive portfolio of retail interiors and installations for the brand, including Design in Motion, Nike’s feature exhibition during Milan’s 2016 design week, and its Chicago flagship that opened later that year. This Montreal architect has been churning out stunning residences for nearly two decades, and is known for his light-filled spaces that highlight raw materials such as wood, steel, and concrete. His recent work has been his best: last year he inserted a series of bronze-hued boxes into a circa-1926 bank interior to transform the space into the Crew Offices and Café (shown), a tech start-up and a cafe for freelance workers. The boxes form lines of conference rooms in various sizes within the 1,115-square-metre space, and are made to match the ornate details in the soaring ceiling above. Principal Andrew Reeves put in time with Johnson Chou and Robert Taylor Architects in Toronto before founding his own studio. 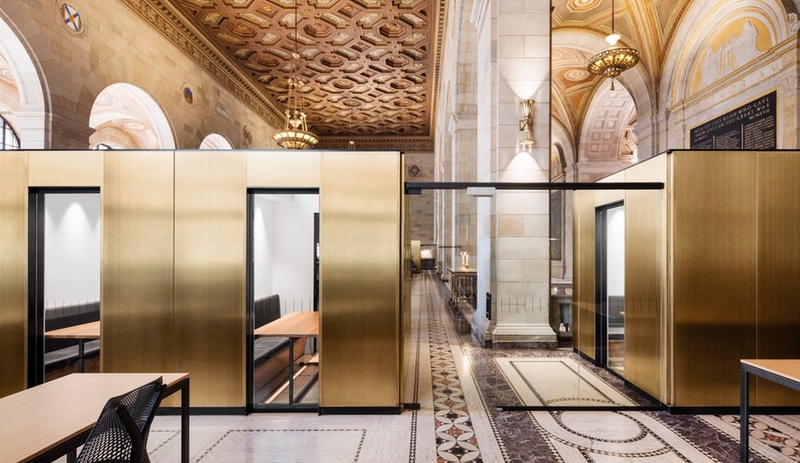 Incredibly versatile, the firm’s portfolio includes: Riviera, a modern, upscale restaurant that respects the history of its 1920s Art Deco bank building home; Mini Craven, a Toronto tiny house; and the Montreal and Ottawa headquarters for Shopify. (The Montreal location is pictured above.) With the e-commerce firm Linebox reimagines what a workplace can be, with an environment that invites creative adaptation, fosters collaboration and gives employees space to work independently. Allen Chan, Matthew Davis and Anwar Mekhayech have been working together for nearly 20 years. Their firm was originally known as Precipice, before they became television’s Designer Guys, for a four-season run. Once the T.V. gig ended the trio got back to work as the DesignAgency and under the new moniker they’ve put their stamp on interiors worldwide, most notably for European hostel chain Generator – they’ve done nearly a dozen interiors for the brand, in cities including Rome, Paris and Stockholm. This summer they’ll debut a major project in their own hometown, with the opening of the Broadview Hotel (shown). 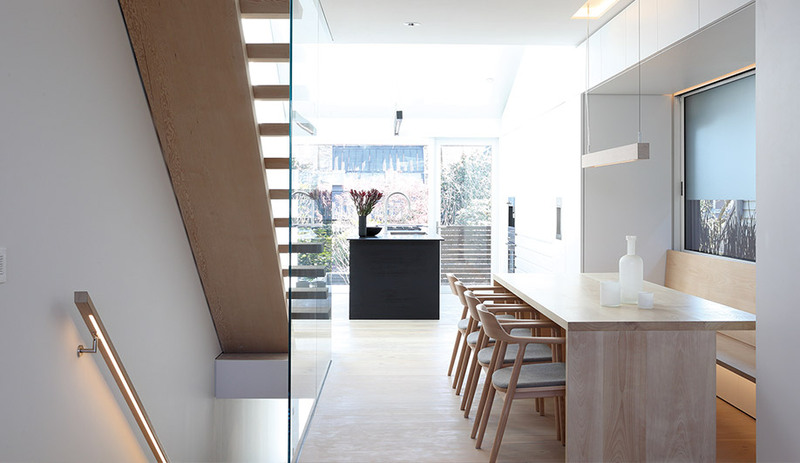 Michael Leckie’s multidisciplinary practice dabbles in architecture, interiors, installations, and product design. 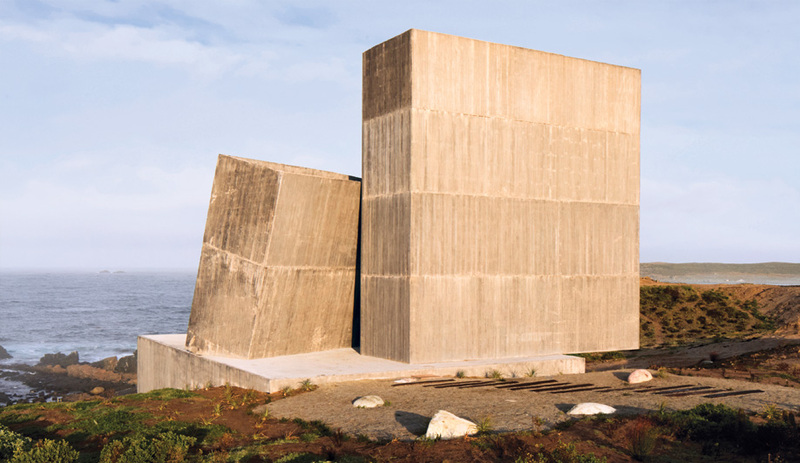 Winner of Western Living’s Designers of the Year Arthur Erickson Memorial Award for 2016, the firm has gained notice for their commercial interiors, including the industrial-meets-polished offices of Slack technologies in Vancouver and the UYU ice cream shop which unfortunately closed in January – blame the Canadian winter, not the frost-inspired interior. Leckie is making waves with its cabin prototype for the Backcountry Hut Company (shown). A concept for simple, affordable recreational homes for outdoor enthusiasts, the ‘kit of parts’ system is designed as an engineered wood post-and-beam framework that’s completed with prefabricated panels. The wood-wrapped interior is customizable to accommodate a large party, small families, or single nature-lovers. Founder Kim Pariseau holds a double degree in interior design and architecture, and studied at the University of Copenhagen, which may explain the Scandinavian vibe in her projects. Leaning heavily on a simple palette of black, white and wood, the firm works wonders with plywood on lower budget projects like the Cinephile offices. 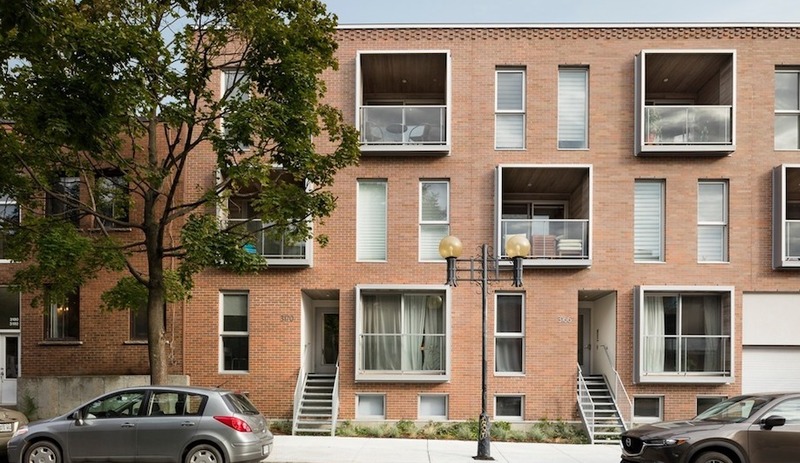 Principals Meg Graham and Andre D’Elia have a portfolio packed with environmentally responsible single-family and multi-unit housing projects – last year alone they picked up two CaGBC Greater Toronto Chapter Innovation in LEED Awards for residential projects. Though they also have plenty of commercial and institutional work under their belts, the firm has become renowned for its retail spaces since designing two Aesop stores in Toronto (the Rosedale location is pictured above), and a third in Honolulu, over the past two years. In the fall of 2010, Cohos Evamy, a 50-year-old architecture firm based in Calgary, announced that it would merge with Hotson Bakker Boniface Haden (as well as Mole White Associates, and Office for Urbanism) to form a new full-service multidisciplinary firm that would be known as Dialog. Not only are they one of the biggest studios in the country, they also consistently turn out some of the best interiors. Particularly strong in the office category, their workspaces, such as the mountainscape-inspired Edgar Development Head Office (shown), are always innovative and memorable. Among the projects on the books at the firm is the new Central Library for Calgary, expected to open next year, which they’re collaborating with Snohetta on. One of the city’s top interior designers for nearly two decades, Chou’s office spaces – including the recently expanded Red Bull Toronto HQ shown above – always feel on-trend, even looking back years later. He’s also a master of residential, including single-family and condo projects, as well as retail, hospitality and more. Lately he’s been helping office furniture brand Global revamp their showrooms, including the company’s Toronto headquarters, which opened last fall. In January, Chou revealed Speculum, a mirror-polished stainless steel sculpture that hangs from the ceiling at One York, in Toronto. The work floats over a glass-encased concrete mass emblazoned with a Banksy stencil, preserved when the building that previously stood on site was torn down in 2011. Chou’s piece creates new opportunities to view the Banksy piece from new and surprising angles. After 20 years with 3rd Uncle, John Tong struck out on his own at the end of 2012. Tong describes his practice as being fueled by a desire to discover, and indeed his projects often revive forgotten spaces, such as the Drake Devonshire Inn, built around a historical iron foundry. Tong is still working with Drake Hotel Properties 15 years after 3rd Uncle started work on the original hotel on Toronto’s Queen West strip. Earlier this month the brand’s newest outpost, the Drake Commissary (Azure’s new neighbour on Sterling Road, pictured above) opened, bringing new life not only to an old brick warehouse, but to an entire neighbourhood. The studio is also working, with Diamond Schmitt Architects and DesignAgency, on an expansion of the original Drake that will add 32 rooms and five storeys to the property. Christian Belanger was already an established designer in Montreal when he launched Belanger Martin, a showroom in Montreal’s little Italy, with partners Chantal and Pierre Martin. The shop is no doubt a great way for the designer to keep the kind of enduring products he uses in his interiors on hand. With every project Belanger endeavours to deliver something that goes beyond style, using furniture and accessories that are meant to last a lifetime, to construct interiors that will do the same. He’s making good on the promise too: last year Quebec design magazine Decormag published a Belanger kitchen 18 years after its completion. While the project still looked as relevant as ever, his best work may be yet to come. 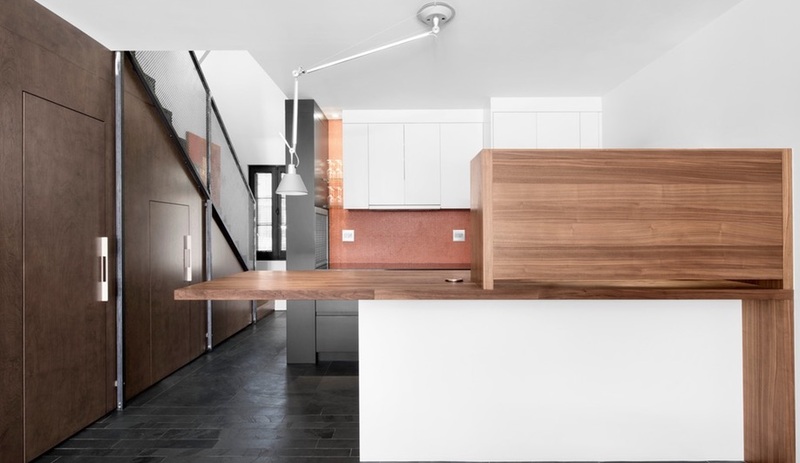 Last year he teamed up with one of Montreal’s most intriguing new firms, Architecture Open Form, on the stunning renovation of a Montreal duplex (shown). Architect Jean-Maxime Labrecque began his career designing exhibitions in Europe, including at Archéoforum de Liège, the Belgian archaeological museum. Through his multidisciplinary firm he has continued to work in exhibition design, and has completed more than 20 residential and commercial projects. Three of the firm’s latest interiors took prizes in the 2016 Grands Prix du Design (including the office Droit diaphane, pictured above). Of the three residential projects currently on the boards at the firm, one may result in the launch of a new furniture collection from the firm. Labrecque has also designed an exhibition showcasing 20 years of the Arts and Crafts Awards of Montreal, which launches at the Centre de la culture Notre-Dame de-Grâce this fall. And next year he hopes to launch an exhibition of his own work, as well as an accompanying book. Perusing the portfolio that interior designers Sarah Parker Charles and Nancy Shepherd Bragg have built over just two years, you’ll see they’re slowly adding modern inflections to an island that holds its history dear. In 2014 they did St. John’s most renowned eatery, Raymond’s (considered among Canada’s top restaurants), and the client invited them back the following year for its next venture. The Merchant Tavern (shown) uses a familiar palette of wood, metal and ocean blues and greys and turns it into a fresh yet comfortable experience for a city steeped in tradition. A former project lead at TAS Design, Stanislav Jurković has only completed a handful of works under the oo moniker, but among them is one of Toronto’s hidden gems, FIX Coffee + Bikes (shown). The unusual concept – combining a coffee shop with a bicycle sales and repair shop – exists in an equally exceptional interior where café seating takes the form of a terrace of parquet-tiled bleacher seating, inspired by images of bike couriers socializing in urban spaces. This summer Jurković will install three outdoor rooms in Toronto, just west of the city’s Little Italy neighbourhood, as part the College Promenade BIA beautification project. In the winter of 2015 Kfir Gluzberg converted his Little Portugal garage into an office, from which he and co-founder Devin Glowinski run their studio. Kilogram have become the designers on call for the rapidly growing Greenhouse Juice chain; they’ve designed a handful of juice bars for the brand including the most recent, in an underground food court in Toronto’s financial district (shown). The concept is based on a prefabricated cedar structure that is made to be disassembled and reused in another location, should the need arise. Young designer Andrew Sun was previously an interior designer at Zeidler Partnership and continues to work as an intern architect with Adamson Associates while he runs his own firm, which has completed a handful of residential and commercial interiors, including the first North American outpost of upscale Taiwanese chain Flaming Bull (shown). Atelier Sun was bestowed the honour of representing the national association Interior Designers of Canada, at Toronto’s IIDEXCanada tradeshow last fall. The studio’s playful, made-for-Instagram booth design featured a transparent and interactive wall of colourful paper pinwheels; it received a Silver Innovation Award at the show. Special thanks to Lois Weinthal, chair of the School of Interior Design at Ryerson University, and Michael Totzke, freelance writer and a former editor at Azure, for their input.